The Twizy was the best-selling full-electric vehicle in Europe that year, with sales of more than 9,000. (In comparison, about 5,000 Nissan Leafs were sold in 2012.) But since then, the novelty has worn off, and Twizy sales have fallen to around 2,000 per year, well below forecasts. 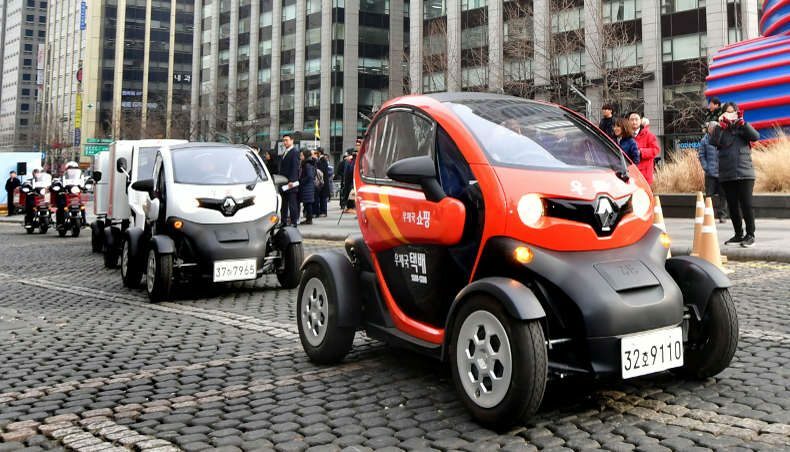 Last autumn, Renault said it would move assembly of the Twizy from Valladolid, Spain, to the Renault Samsung Motors plant in Busan, South Korea -- where it has become a minor sensation. According to the Korea Joongang Daily, more than 1,400 Twizys were sold in South Korea through last November. A promotion on a home-shopping channel drew nearly 3,700 inquiries, Korean media reported. Sort of looks more at home over there. Not Koleos - enough for nervous Yerpeans. Doesn't this seem like a familiar concept: https://www.autocar.co.uk/car-news/new-cars/new-seat-minimo-production-confirmed-2021 ?